Glenn Howerton. 2018 NBCUniversal Winter Press Tour held at The Langham Huntington in Pasadena. 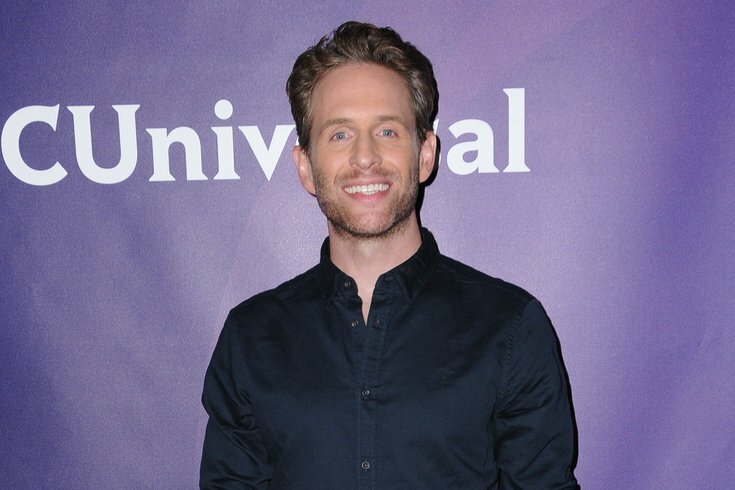 Nobody knows for sure whether or not Glenn Howerton is coming back to "It's Always Sunny in Philadelphia" to continue in his role as the show's consummate prick, Dennis Reynolds. For 12 seasons, he's carried it off so well that he's become more of a hero than a heel for being this way. Deep-diving fans of the show suspect there's a much more sinister subplot going on: Dennis Reynolds is a murderer and possibly a serial killer. He's also a crackhead who's obsessed with human skin. Here's an entire fan theory that meticulously lays out the case. Howerton, who's now immersed in his NBC sitcom "AP Bio," recently took some time to respond to these theories. In a segment for "The Late Show with James Cordon," Howerton gets down to addressing a few fan-submitted accusations. The first theory involves a claim that Dennis murdered Brian Lefevre, a character from the season 8 episode "Frank's Back in Business." Essentially, Dennis assumes Brian's identity after his wallet is left behind at the pub. On the surface, it's just typical shenanigans from the Gang, but clues from throughout the series suggest there's something else going on here. Another theory posits that Dennis is the "Scranton Strangler" from "The Office," since both shows take place in Pennsylvania. The key takeaway is Howerton's promise that "It's Always Sunny in Philadelphia" contains manifold mysteries of the universe. "If people go back and watch every episode of 'It's Always Sunny in Philadelphia,' they're going to be able to, um, there's clues all throughout the series," Howerton said. "So, you know, you'll be very rewarded by watching the show over and over again. If you can really do a number on this thing, you'll be able to figure out the mystery to not only the show and the characters on the show, but the world."